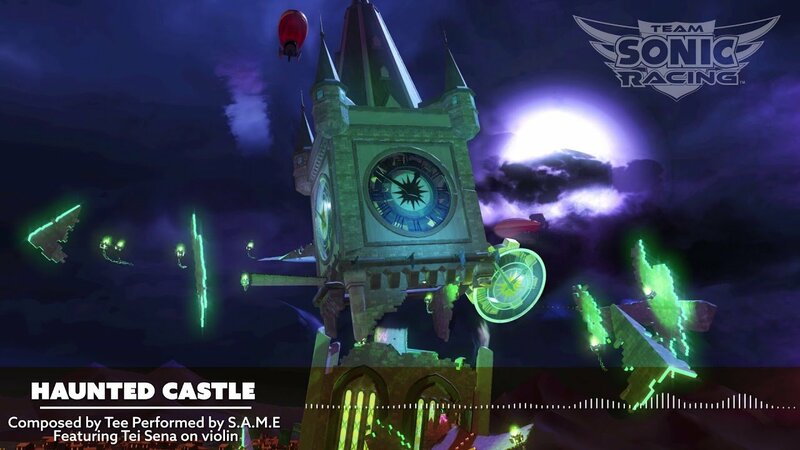 Sega debuts spooky Team Sonic Racing track "Haunted Castle"
"Haunted Castle" is the latest song to be shown off from the upcoming Team Sonic Racing, after several other songs from the game made their way to YouTube in the past. Ready for another awesome musical track from Team Sonic Racing? Sega's got you covered. The spooky new track, "Haunted Castle," certainly doesn't sound scary in any way, instead calling to mind heavy metal and symphonic touches like the violin flitting across the song. You can almost see nimble fingers repositioning themselves on the frets over and over. "Tei Sena and Tee Lopes combine forces for this ghoulishly-good song," reads the official description. "It may not be Halloween at the time of posting, but what’s not to love about a Haunted Castle? The track was composed by Tee Lopes and performed by S.A.M.E., featuring Tee Sega on violin. Team Sonic Racing is the latest addition to the long-running Sonic series, featuring fast-paced arcade-style racing with your favorite characters and environments taken directly from the Sonic universe. You can join your friends and race together against the AI or take the show on the road with online multiplayer as well. Local co-op play lets you change out dynamic team mechanics and use vehicle customization features to make your mark and skid across the finish line. If you enjoy arcade racing and have been burning up the tracks in Mario Kart 8 Deluxe, this Sonic racer should be something of a good palate cleanser, at the very least. Right now, Team Sonic Racing is set to debut with a physical and digital release on May 21, 2019 on PlayStation 4, Xbox One, and Nintendo Swich. It's releasing as a digital-only option on PC. You can pre-order now to get ready for the race – that is, if all this cool music that's been shared over the past few months hasn't been too much for you. Thank Sega for all the cool drops! Brittany Vincent posted a new article, Sega debuts spooky Team Sonic Racing track "Haunted Castle"